Recently, a student loaned me a wonderful little book. 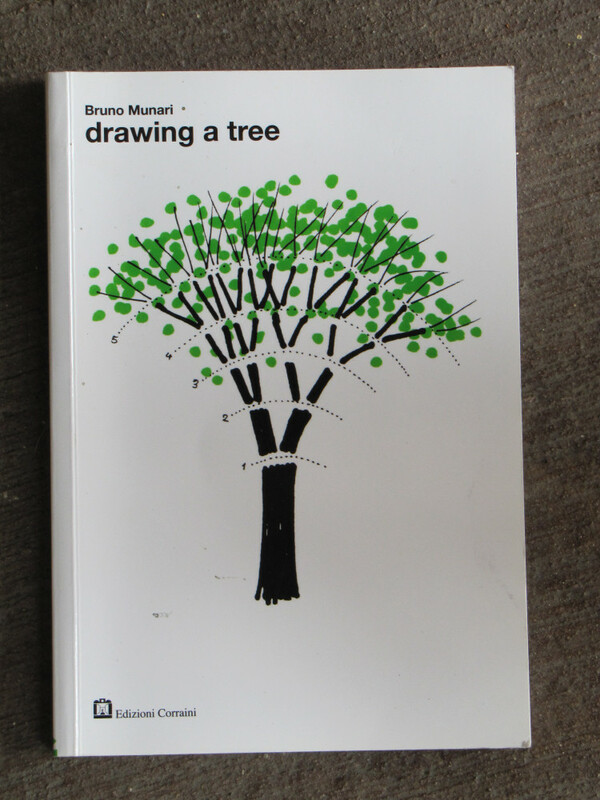 It’s called Drawing a Tree by Bruno Munari. It’s profound in it’s simplicity. Trunks become limbs, limbs become branches, and branches become slender twigs. Depending upon the type of tree, the form may be tall or short, narrow or wide, straight limbs or curly. But always the tree is large at the base and becomes more and more slender as it reaches up and out. The book is filled with delightful illustrations and so many reminders of what we see when we look at a tree. 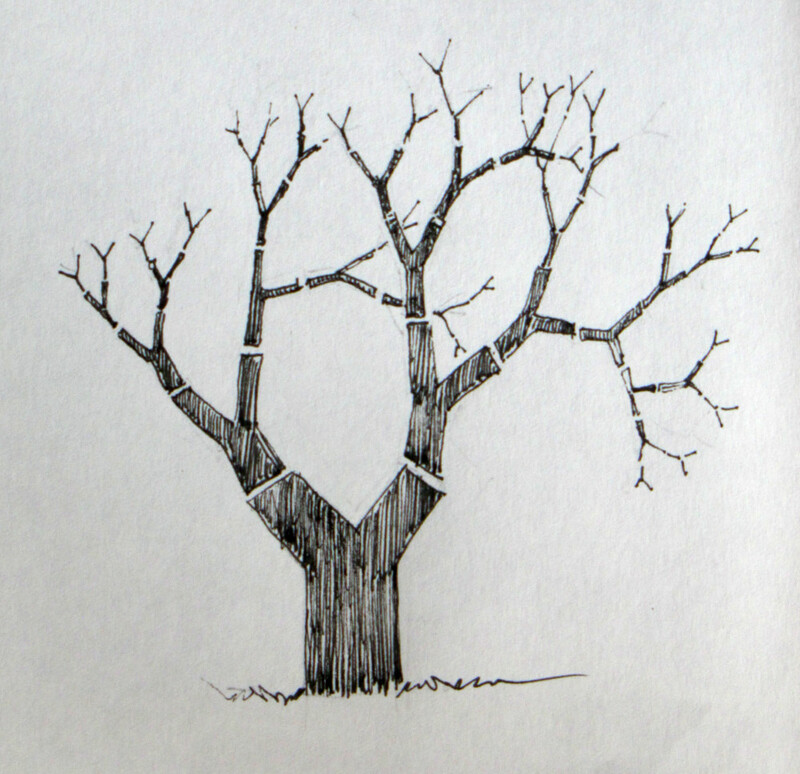 By understanding how the tree grows, we can draw it. Towards the end of the book he responds to those who protest they can’t draw. He asks, can you draw an A, a B or C? Of course. Everyone can do that. Pretty cool. 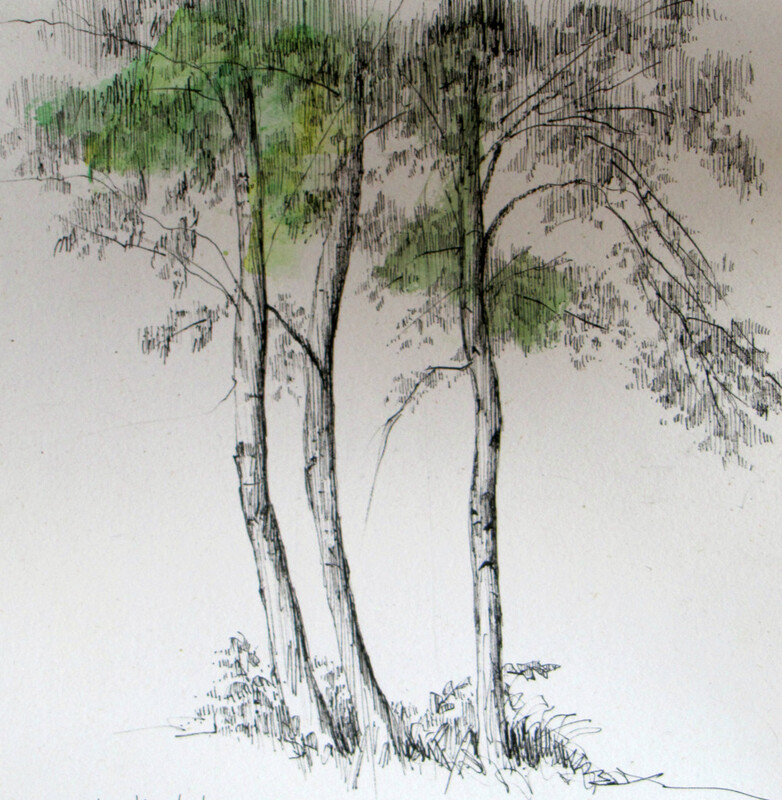 Of course drawing Y’s is not the only way to draw trees – but sometimes drawing something we know, helps us see and draw something that appears complicated. What shape are the trees where you live?